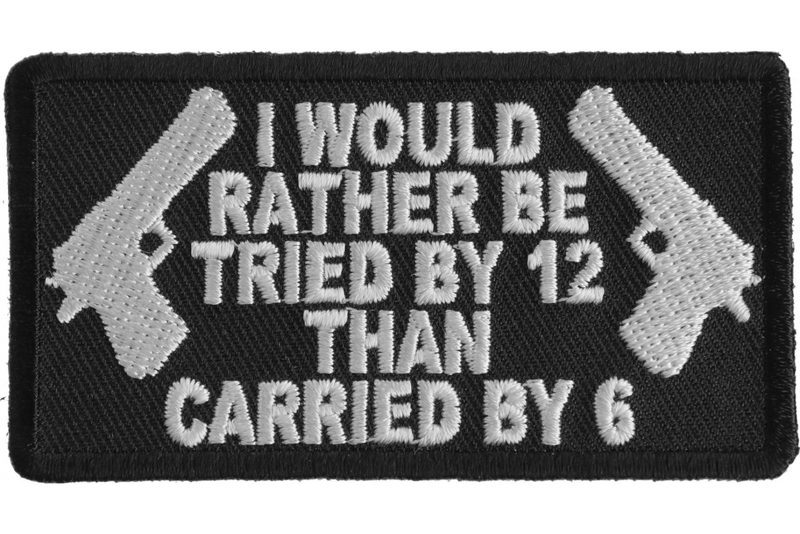 I would rather be tried by 12 than carried by 6 patch measures 3.25x1.75 inches. 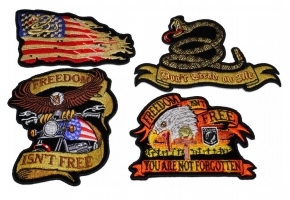 Embroidered in white with two guns on either side of the patch. 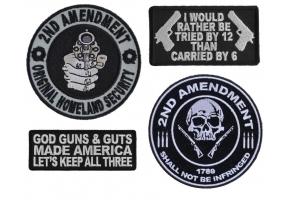 The meaning behind it, I would rather shoot first, live and face a jury than carried by 6 in a coffin.